Having a good laugh together! 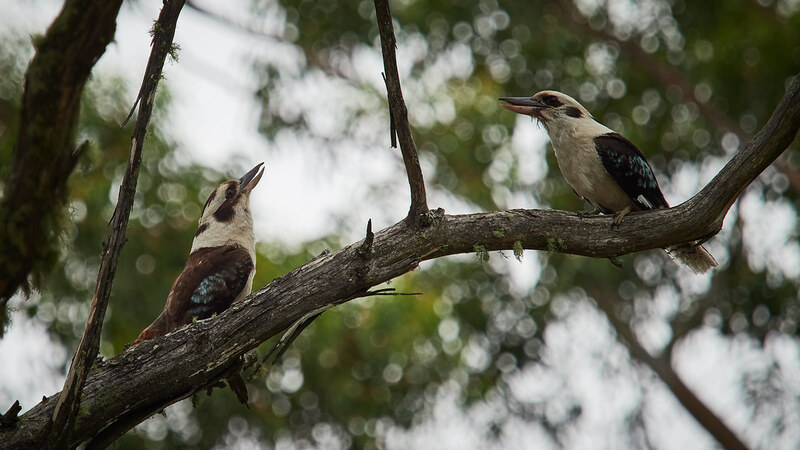 That's what it was as we were leaving Elysian Rock Lookout (taken outside Leuralla Amphitheatre Leura, Blue Mountains, NSW) when these two kookaburras were laughing their heads off (figuratively speaking). I was putting the cameras away in the car but my wife reminded me I was missing a good photo opportunity since they were right near us, so I quickly got it out for this shot. K1135031[CaOne]adj-cr by Ross, on Flickr (E-M1 Mk II & 40-150 with MC14).